These are some of the first lines from Shirley Showalter’s newly published memoir, Blush: A Mennonite Girl Meets a Glittering World. Showalter, who served as Goshen College’s 14th president, will return to campus this weekend to share her book with a familiar community. Blush focuses on Showalter’s childhood in Litiz, Penn. and her time as a young adult coming of age. The writing and editing process was long, a time that Showalter said made her “appreciate other writers for all their work.” The book went through six drafts before its publication on September 19. 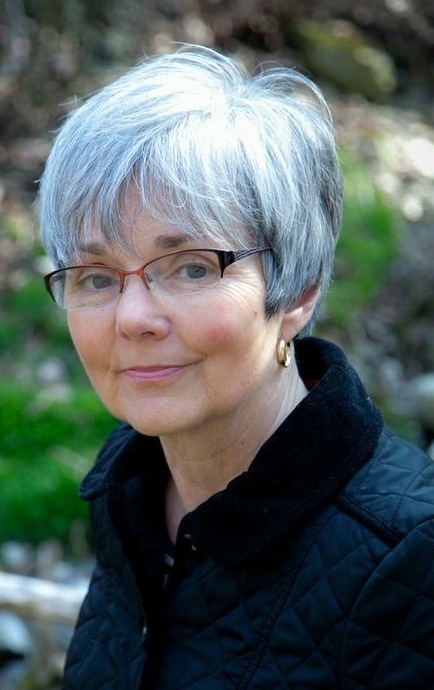 The seed of Showalter’s memoir began when she taught expository writing classes at Goshen College. She began as an English professor in the 1970s and continued to teachduring her eight years as the college’s first woman president. She was inspired by students’ personal essays and started writing about her own key life moments. Showalter continued writingafter she left Goshen in 2004. While serving as an executive for the Fetzer Foundation in Kalamazoo, Mich., she was encouraged to enter a literary awards contest; she won prizes three years in a row. The memoir, which was published by Herald Press, found readership early on. Showalter said some of that credit goes to her blog, 100 Memoirs.She started the site in 2008, after a writing conference she attended in Santa Barbara sung the importance of building a social media community. Some of those readers surprised her by coming to the book’s launch event at Lititz Mennonite Church. Showalter, who now lives in Harrisonburg, Va. with her husband, Stuart, is in the midst of a launch tour that will take her back to Michigan as well as Indiana. Since leaving in 2004, Showalter and her husband have made visits back to Goshen to attend concerts and see friends, but this is the first time she will return during Homecoming weekend since she was president. Jim Brenneman, president, said he is very pleased to have Showalter back on campus. Showalter will give several readings, including at Better World Books and with the English department, as well as an afternoon sabbatical. Showalter will be at several events over the coming week, including a book signing at 6 p.m. Friday at Better World Books, an English department reading at 1:30 p.m. Saturday at Newcomer 17, and an afternoon sabbatical at 1 p.m. Tuesday in Sauder Concert Hall.